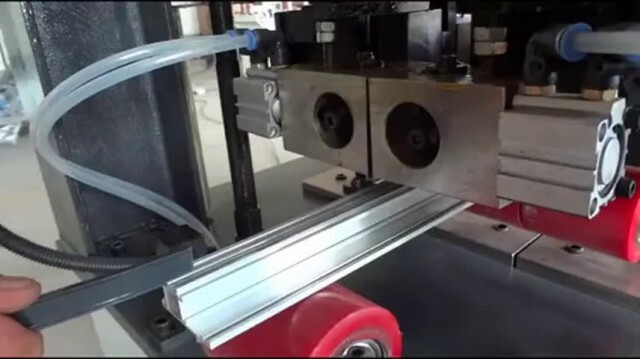 .the kurling machine video from JINAN INGRAT MACHINERY CO.,LTD. 01:01 wood grain transfer machine JINAN INGRAT MACHINERY CO.,LTD. 01:01 the cnc bending machine JINAN INGRAT MACHINERY CO.,LTD. 01:06 sticking film machien JINAN INGRAT MACHINERY CO.,LTD. 01:10 thermal break equipment rolling machine JINAN INGRAT MACHINERY CO.,LTD. 00:48 thermal break CNC strip insertion machine JINAN INGRAT MACHINERY CO.,LTD.